Cancer Cell. 2016 Oct 10;30(4):637-650. Cancer Cell. 2016 Aug 8;30(2):290-307. Cancer Cell. 2015 Jan 12;27(1):97-108. Cancer Discovery. 2018 Sep 13. Cancer Cell. 2018 Sep 10;34(3):411-426.e19. Adv Mater. 2018 Sep 10;e1801621. Sci Transl Med 2018 May 16. Mol Cell. 2018 Dec 3. Circ Res. 2017 Jul 31. AM J Resp Crit Care 2018 Mar 26. J Exp Med. 2017 May 1;214(5):1387-1409. Eur Respir J. 2015 Jun;1590-602. EMBO J. 2018 Dec 6. Proc Natl Acad Sci U S A. 2018 Feb 23. Curr Biol. 2018 Aug 20;28(16):2616-2623.e5. Cancer Res. 2017 Jan 1;77(1):41-52. Cell Rep. 2014 Nov 6;9(3):829-41. Clin Cancer Res. 2018 Jul 1;24(13):3149-3162. ACS Appl Mater Interfaces. 2017 Feb 22;9(7):5803-5816. Stem Cell Reports. 2017 May 9;8(5):1312-1328. Org Lett. 2016 Feb 5;412-5. Mol Cell Proteomics. 2016 Mar 28. Int J Cancer. 2017 May 1;140(9):2150-2161. Int J Cancer. 2013 Nov;133(9):2065-76. Mol Ther Nucleic Acids. 2016 Nov 15;5(11):e384. Cancer Lett. 2015 Aug 1;364(1):8-16. Cancer Lett 2014 Feb 28;217-23. J Neurosci. 2015 Jan 7;35(1):64-73. J Exp Clin Cancer Res. 2018 Sep 21;37(1):234. Mol Cancer. 2017 May 22;16(1):93. Blood Cancer J. 2016 Oct 7;6(10):e481. Free Radic Biol Med. 2018 Oct 17. Acta Pharmaceutica Sinica B. 2019 Jan.
J Neurosci 2018 Mar 26. Mol Cancer Ther. 2015 May;1202-12. Mol Cancer Ther. 2017 Nov;16(11):2399-2409. PLOS Genetics. 2018 Jan 25;14(1):e1007165. Endocr Relat Cancer. 2015 Aug;665-78. Transl Stroke Res. 2017 Nov 4. 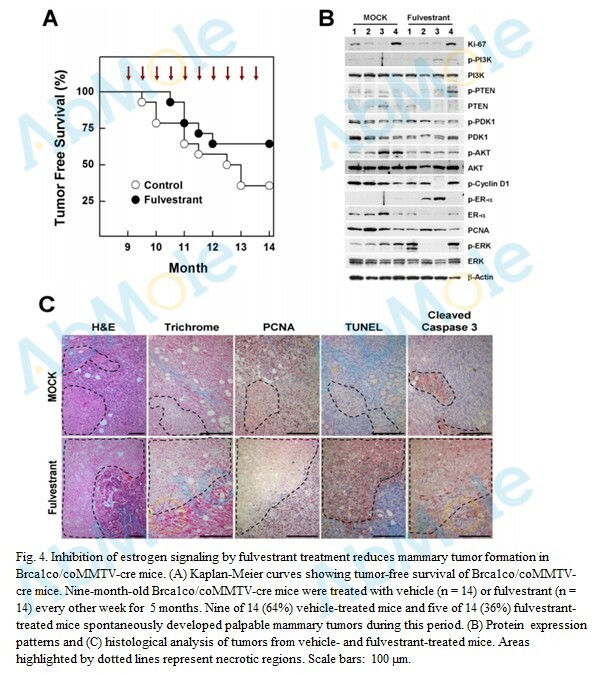 Oncotarget. 2017 Apr 11;8(15): 24604–24620. Biochem Pharmacol. 2015 Aug 15;323-36. Biochim Biophys Acta Mol Cell Res. 2018 Oct 12. Mol Cancer Res. 2018 Aug 14. J Biol Chem. 2014 Sep 26;289(39):27090-104. J Immunol. 2018 Oct 1. Food Chem. 2017 Sep 20. Food Chem. 2017 Mar 15;219:304-310. J Ind Eng Chem. 2017;3311:1–7. Int J Nanomedicine. 2018 Jul 27;13:4391-4404. Macromol Rapid Commun. 2018 May 2;e1800075. Sci Rep. 2018 Mar 1;8(1):3891. Sci Rep. 2016 Jul 1;6:28612. Mater Sci Eng C Mater Biol Appl. 2017 Sep 1;78:443-451. Int J Biol Sci. 2018 Oct 3;14(13):1769-1781. Am J Pathol. 2017 Jun;187(6):1301-1312. J Cell Physiol. 2018 Nov 19. Int J Pharm. 2018 Dec 13;556:338-348. BMC Genomics. 2017 Sep 11;18(1):714. Mol Cell Biol. 2016 Oct 28;36(22):2838-2854. Invest New Drugs 2018 Jun 6. Invest New Drugs. 2014 Dec;32(6):1144-54. Am J Physiol Gastrointest Liver Physiol. 2016 Jun 1;310(11):G1071-80. Anesth Analg. 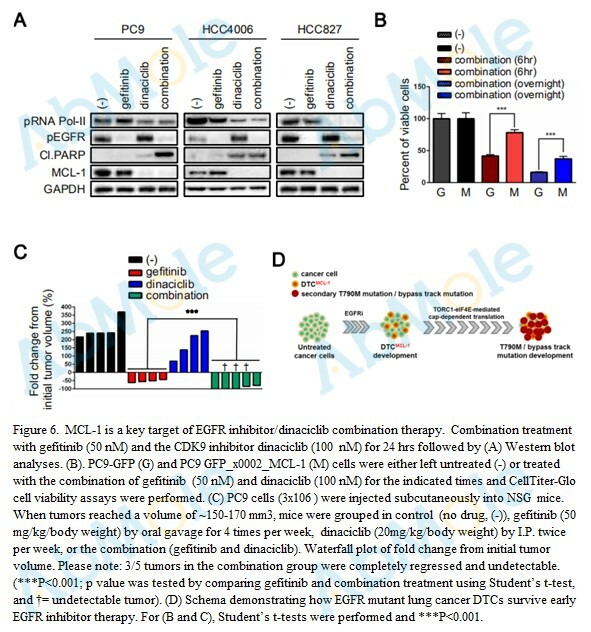 2018 Jul 21.
International Journal of Oncology. 2019 Mar;929-941. Journal of Immunology Research. 2018 Sep 30. Cancer Biol Ther. 2018 Feb 5. Cancer Biol Ther. 2015 Oct;1535-47. BMC Cancer. 2016 Nov 7;16(1):857. Food Funct. 2016 Mar 24. Exp Eye Res. 2018 Nov;176:10-19. Int Immunopharmacol. 2018 Dec 17;67:287-293. M9247 YM-90709 YM-90709 is an interleukin-5 receptor antagonist. M9246 HUHS015 HUHS015 is a potent PCA-1/ALKBH3 inhibitor, which continuously administering HUHS015 significantly suppressed the growth of DU145 cells. 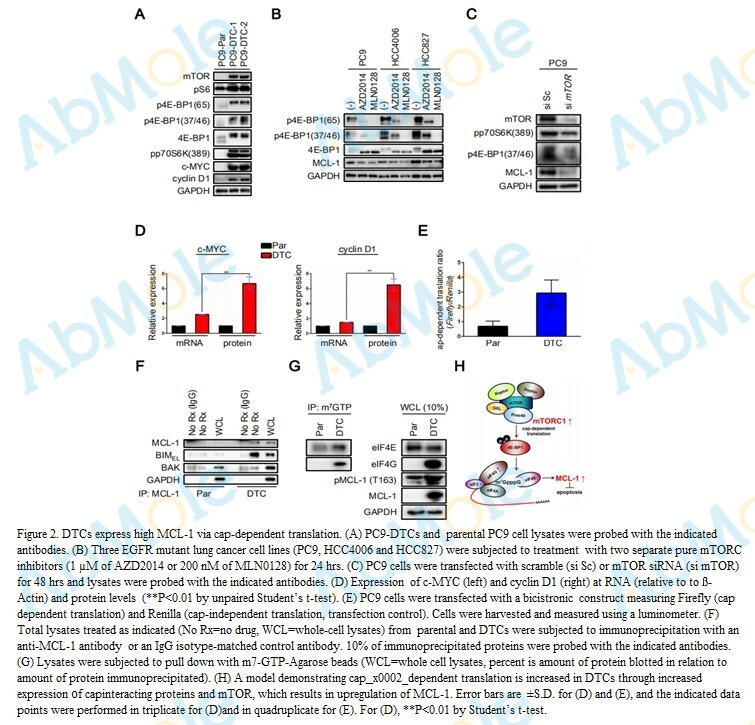 M9245 GTPL5846 GTPL5846 (6-OAU) is a surrogate agonist of GPR84; activates human GPR84 in the presence of Gqi5 chimera in HEK293 cells with an EC50 of 105 nM in the PI assay. M9244 1-methoxy PMS 1-methoxy PMS is stable electron-transport mediator between NAD(P)H and tetrazolium dyes. M9243 ITD-1 ITD-1 is a selective inhibitor of TGF-β signaling (IC50 ~ 0.4-0.8 μM). 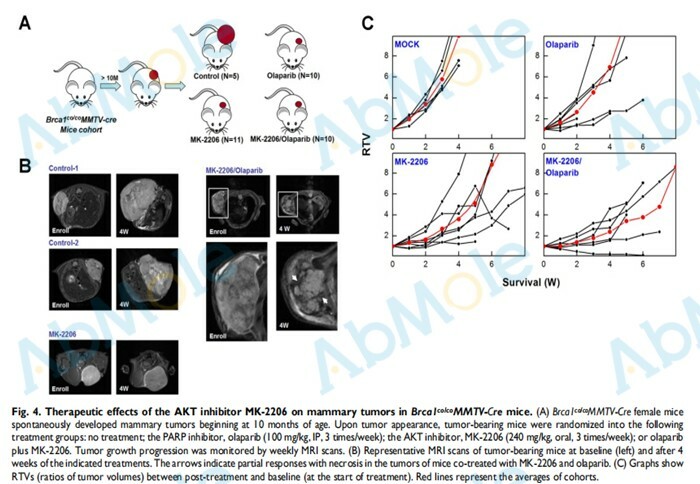 M9242 ISRIB ISRIB is a potent and selective PERK inhibitor with IC50 of 5 nM.